Features available as part of our comprehensive e-commerce solution are shown below. Allowing you to send regular, feature rich emails to your customers and advertise your products directly in their inboxes. This is a standard facility for business in ecommerce with large amounts of products. Using Masti's patented design, this shopping cart is robust and very effective. 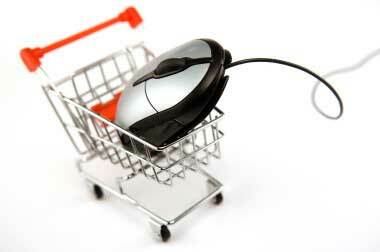 Payment via various medias is useful for shopping online. A key tool for publicising your business and website. Feature giving discounts to some specific customers, i.e. preferred customers or advertisement respondents. A section dedicated to the customers who have already made purchases, including order history and saved baskets. Allow your clients to track their order. List your current products that are offered on the home page or on the side. Enables you to show relating products which can often encourage people to buy more products. A list of your top sellers! So customers can be assured of reliability. As seen on most ecommerce websites, a wish list can further your business. Automatically resize images that are uploaded to your website, useful feature so images do not take up unnecessary space.